Research in my lab group focuses on evolutionary processes occurring in flowering plant populations. My students and I are particularly interested in understanding how plant mating systems evolve and how patterns of pollinator visitation influence male and female reproductive success. In collaboration with Dr. Randy Mitchell (Univ. of Akron) we have studied how ecological factors, such as population density and the presence of competitors for pollination, and genetic factors, such as floral morphology and floral display size, influence selfing rates and patterns of paternity in monkeyflower (Mimulus ringens). At our study site in Wisconsin this wetland perennial is pollinated by six sympatric species of bumble bees (Bombus). Through the use of genetic markers to unambiguously determine paternity, we have developed an unparalleled data set documenting fine-scale variation in mating patterns. For example, we have discovered that adjacent flowers open on the same day differ strikingly in selfing rates and number of outcross pollen donors. Nearly all fruits are multiply sired, averaging 4.92 outcross donors per fruit. What mechanisms are responsible for the high levels of multiple paternity observed in Mimulus ringens fruits? How does Mimulus floral display size influence male and female fitness? What effect do different bumble bee species have on patterns of pollen deposition and seed set in Mimulus ringens? How is the magnitude of inbreeding depression influenced by self and outcross competitors? How do competitors for pollination influence reproductive success and the mating system? How does population size of the milkweed Asclepias verticillata influence pollination success? Is there evidence for an Allee effect? Hallett, Allysa C., Mitchell, Randall J., Chamberlain, Evan R., and Karron, Jeffrey D. “Pollination success following loss of a frequent pollinator: the role of compensatory visitation by other effective pollinators.” AoB PLANTS. Krauss, Siegfried L., Phillips, Ryan D., Roberts, David G., Karron, Jeffrey D., Johnson, Steven D., and Hopper, Steven D. “Novel consequences of bird pollination for plant mating.” Trends in Plant Sciences 22. (2017): 395-410. Sorin, Yuliya B., Mitchell, Randall J., Trapnell, Dorset W., and Karron, Jeffrey D. “Effect of pollination and postpollination processes on selfing rate in Mimulus ringens.” American Journal of Botany 103.8 (2016): 1524-1528. Mitchell, Randall J., Wilson, William G., Holmquist, Karsten G., and Karron, Jeffrey D. “Influence of pollen transport dynamics on sire profiles and multiple paternity in flowering plants.” PLOS One 8.10 (2013): 7. Karron, Jeffrey D., and Mitchell, Randall J. “Effects of floral display size on male and female reproductive success in Mimulus ringens.” Annals of Botany 109. (2012): 563-570. Karron, Jeffrey D., Ivey, Christopher T., Mitchell, Randall J., Whitehead, Michael R., Peakall, Rod, and Case, Andrea L. “New perspectives on the evolution of plant mating systems.” Annals of Botany 109. (2012): 493-503. 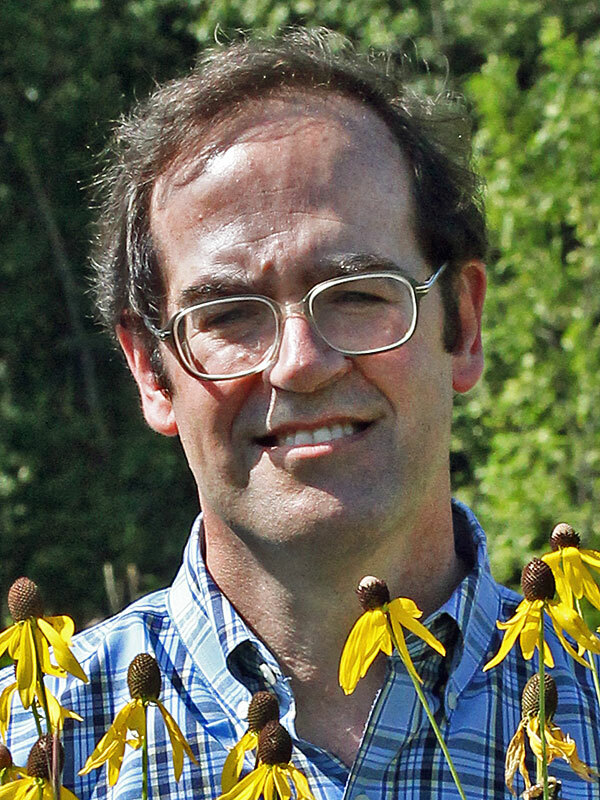 Flanagan, Rebecca J., Mitchell, Randall J., and Karron, Jeffrey D. “Effects of multiple competitors for pollination on bumblebee foraging patterns and Mimulus ringens reproductive success.” Oikos 120. (2011): 200-207. Flanagan, Rebecca J., Mitchell, Randall J., and Karron, Jeffrey D. “Increased relative abundance of an invasive competitor for pollination, Lythrum salicaria, reduces seed number in Mimulus ringens.” Oecologia 164.2 (2010): 445-454. Karron, Jeffrey D., Holmquist, Karsten G., Flanagan, Rebecca J., and Mitchell, Randall J. “Pollinator visitation patterns strongly influence among-flower variation in selfing rate.” Annals of Botany 103. (2009): 1379-1383.